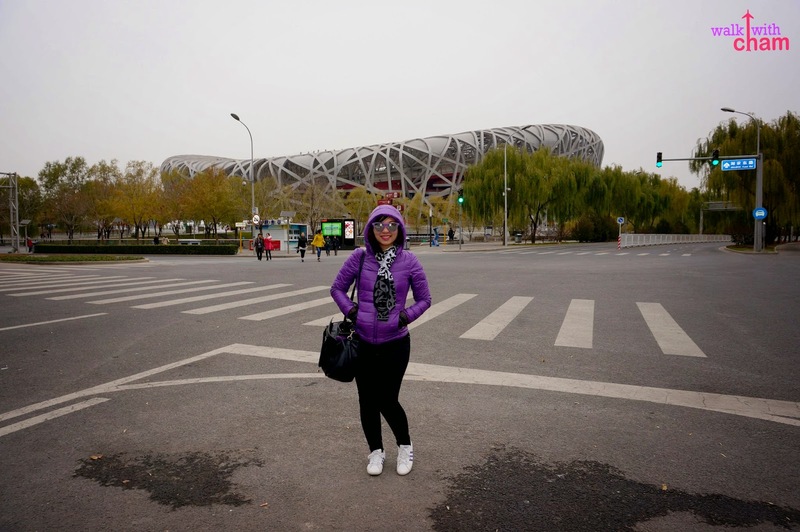 I was never into sports (I only know how to swim) but I couldn't resist going to Beijing Olympic Park even if there were no olympics or any scheduled sports activity. I just wanted to take a glimpse of the Bird's Nest and Water Cube. So we squeezed this in after our Great Wall of China trip. 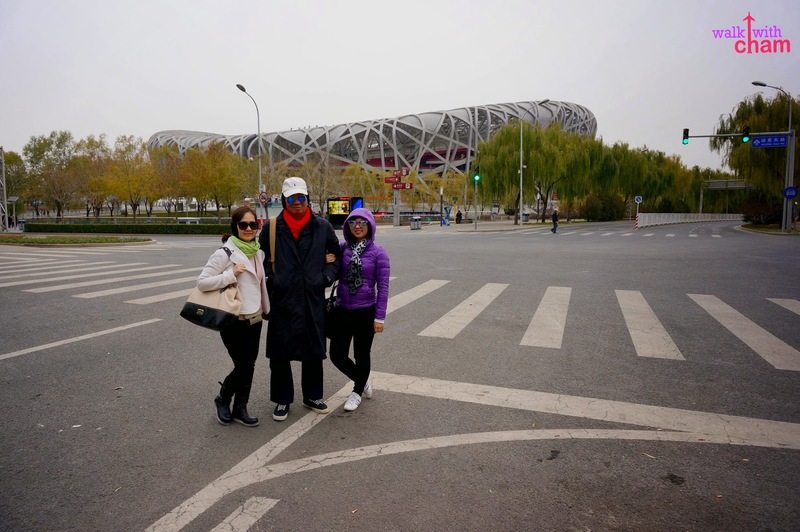 Beijing Olympic Park is known for being the official venue of the 2008 International Olympic Games. And after the Olympics, the park was opened to the public as a tourist attraction. Because we went here after our Great Wall of China trip via shuttled service traveling was a breeze but if you want to go here via subway. You can take the Subway Line 10 to Beitucheng then switch to Subway Line 7 (Olympic Special Line) get off at Olympic Sports Center Station, get out of the station from Exit B1 or Exit B2 and walk north. Going inside the park needs no entrance fees however there are corresponding fees when you want to enter other structures. Since we just wanted to take photos from outside we didn't pay anything. 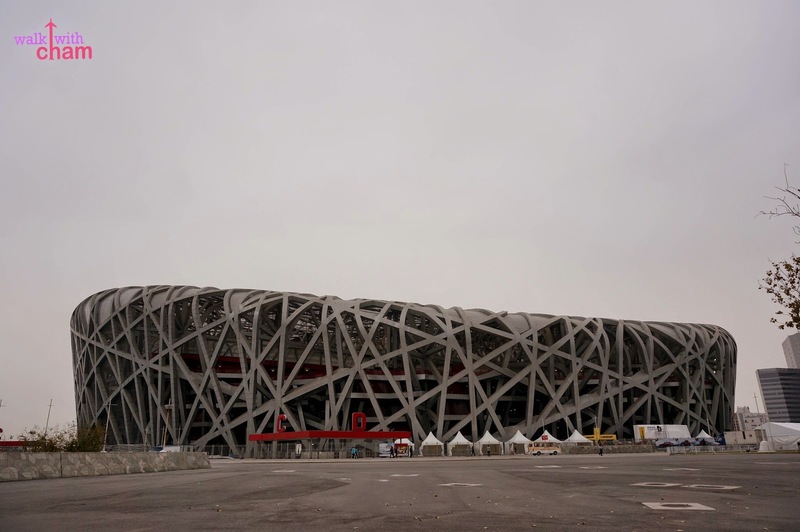 The Bird's Nest is officially called the National Stadium. It is the main structure of the park where olympic sports like football, track and field, gave lock, weight throw and discus were played here. Now tourists can go skiing here. 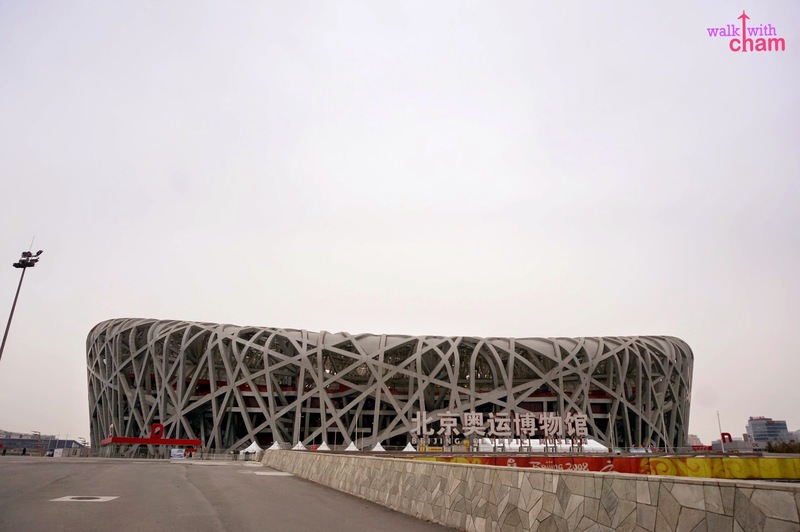 At night, the Bird's Nest is even more beautiful as it sparks a magnificent effect lighting. Officially called the National Aquatic Center where all water sports facilities are located. It hosted swimming, diving and synchronized competitions and now it is being used for international advance center. Inside you can see Water World, themed indoor Waterpark, spa, restaurants, bars and souvenir shops. 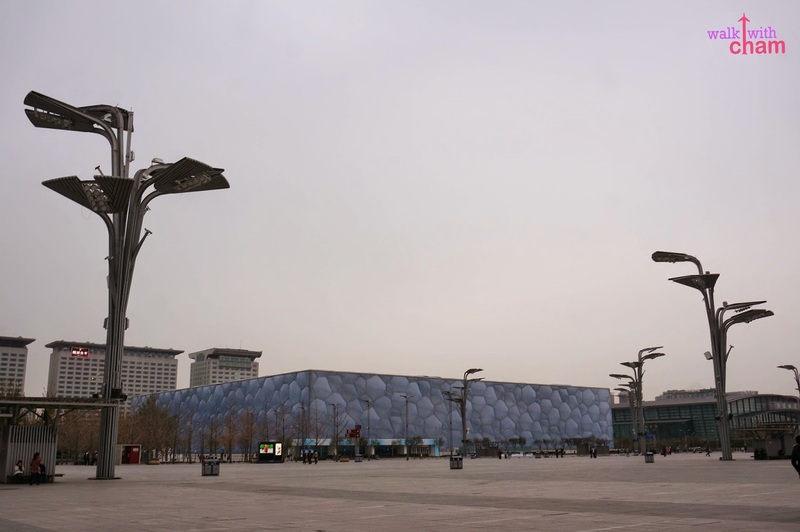 Same with Bird's Nest, the Water Cube displays magnificent lights at night in fact travel agencies has a Night Tour Package wherein tourist can visit alI landmarks with wonderful display of lights (which also includes trip to Tiananmen, Wangfujing etc). I wanted to try it but our schedule didn't permit, it was really packed so at least we saw the Olympic Park even for just 30 minutes.